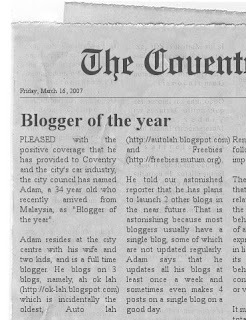 The city of Coventry has named me as "Blogger of the Year". LOL! Glad I clicked the links before congratulating you. You had me going. Very authentic looking! Now I just hve to decide what my own headline will be! I loved this idea too.